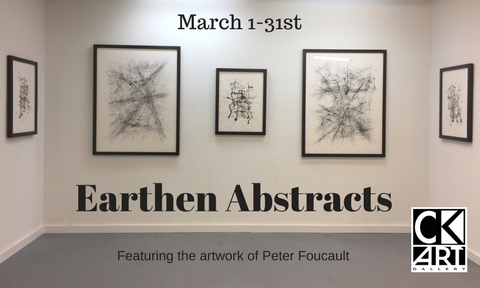 I invite you to stop by CK Art Gallery and check out Earthen Abstracts, a group exhibition featuring a selection of my new drawings. Info is below and artist reception is tonight from 5:30 – 8:30pm. Hope to see you there!